Purple, green, and silver metallic suits and hats embellished with peacock feathers. 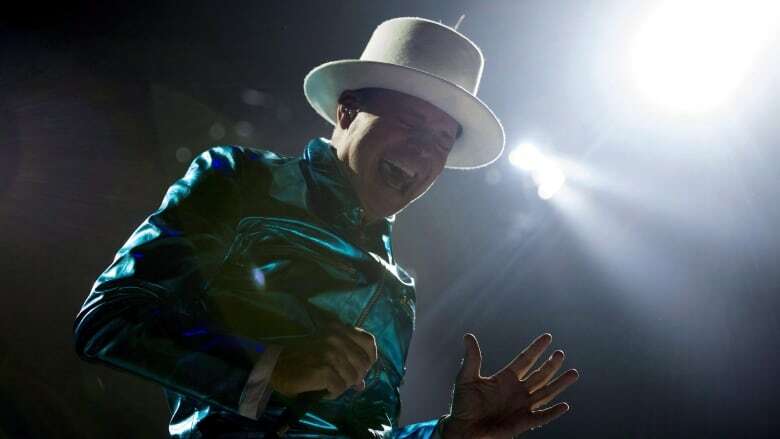 If you were lucky enough to see The Tragically Hip live this summer or watched their Kingston performance on August 20, you couldn't have missed Gord Downie's metallic suits. The Hip's frontman wore multicoloured metallic leather suits with a Bob Dylan-inspired white hat with peacock feathers. Toronto's Izzy Camilleri is one of the designers who worked with Gord Downie on his look. She explains the inspiration behind the outfit and previews her latest collection, IZ—a designer line of clothing for wheelchair users.